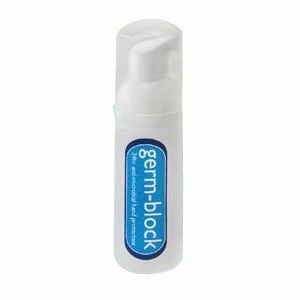 Germ-Block is a washproof hand sanitiser that remains active for 24 hours and lasts through 10 handwashes, from just one application. 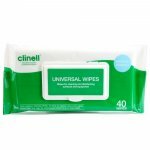 Germ-block creates an invisible barrier on your skin to help protect you and your family against infections including: MRSA, C.Difficile, Salmonella species, E.Coli, Listeria, Influenza, Norovirus and many more. 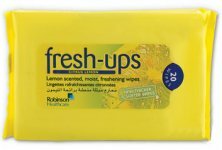 Wash and dry hands as usual. Dispense one or two doses of Germ-block. Massage into both hands, particularly between fingers and under the nails. Avoid contact with eyes. In case of contact flush with water. Purified Water, Fragrance, Ethyl Alcohol (18%), Organosilane Quaternary Ammonium Chloride.